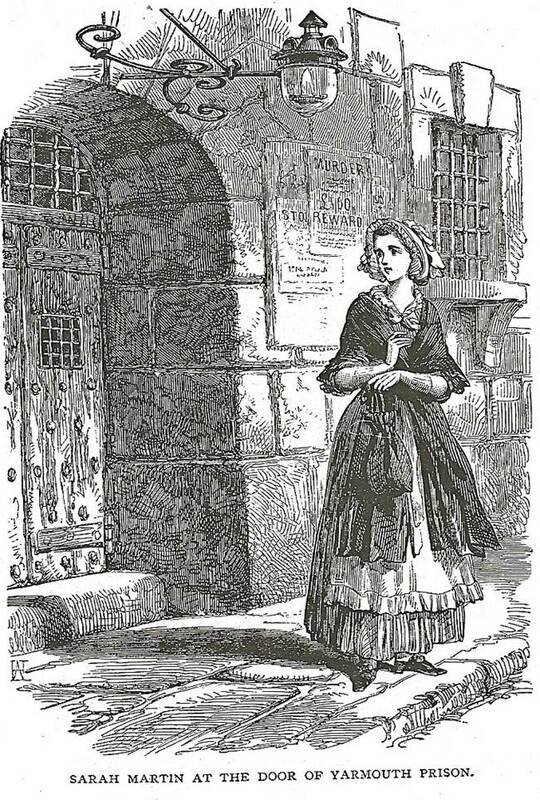 In 1818 a dressmaker stepped through the gates of Great Yarmouth Borough Gaol hoping to read the Bible with a young mother, confined to prison for cruelty to her infant daughter, and save her from damnation. For quarter of a century Sarah Martin continued visiting the gaol, preaching each Sunday in the prison chapel, teaching thousands of inmates to read and write, helping them learn new skills so they could support their families after release. This blog is about the conviction, or faith, that drove Sarah Martin to devise one of the first schemes for prisoner rehabilitation. After she died in 1843, the Victorians memorialised her as a courageous pioneer of prisoner reform but now Sarah Martin has long been forgotten. While her pious judgements about inmates will be off-putting to many of us today, her practical approach to working with prisoners and their families, sometimes for years after their sentence, has much to teach us, as does her kindness. 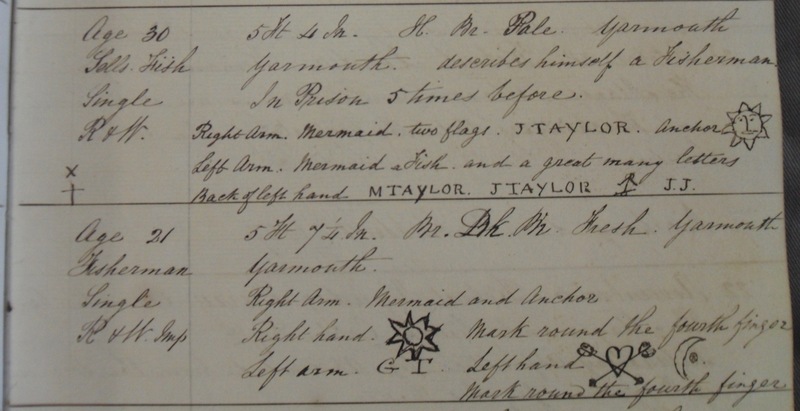 Just as importantly, this blog is about the men, women and children convicted at Yarmouth whose lives were touched, however fleetingly, by the Christian visitor. 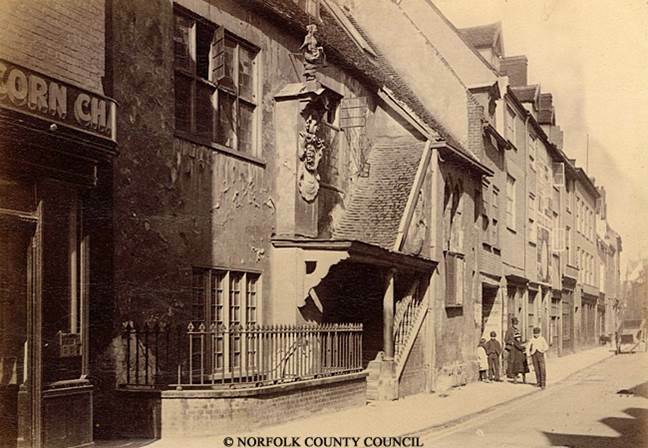 Most were sentenced for what we would consider petty crimes or misdemeanours: pilfering from market stalls, lifting goods from the workplace, being drunk and disorderly, behaving suspiciously. The blog explores how they reacted to imprisonment: who kept their head down, memorised religious verses, learned to write; and who railed against confinement, defied regulations, jeered at the teacher. 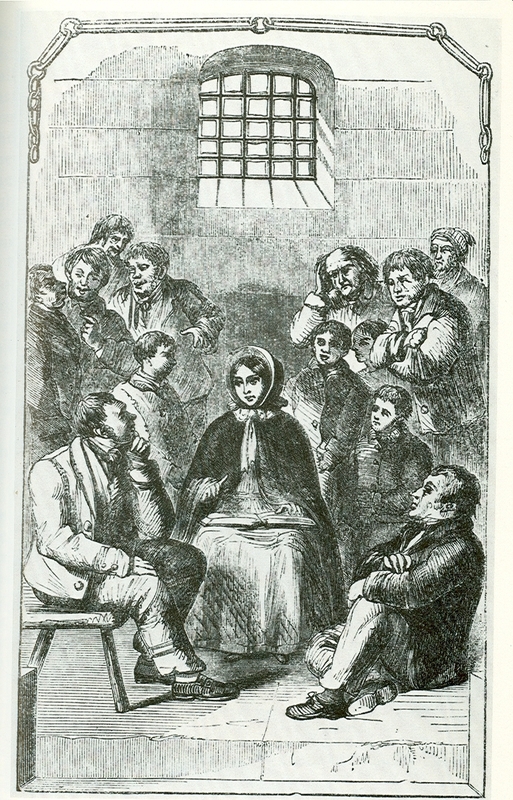 Sarah Martin’s short memoir, first published in 1844, led me to Yarmouth gaol. I discovered her prison journals in the library adjoining the town’s ancient Tolhouse. For centuries, the Tolhouse housed the magistrate’s court where prisoners were tried and the gaol to which they were ‘sent down’. The prison closed in 1877, along with many other local gaols judged too small and out-dated to deliver effective modern justice and punishment. Now a prison museum, you can enter some of the rooms where Sarah Martin worked with inmates, view the spoons men carved out of bone and the baby linen sewn by women, and peer at the teacher’s log recording prison lessons and summarising her scholars’ characters. In her prison journals, Sarah Martin tracked what she saw as the progress and failings of her students, sometimes over frequent returns to gaol. They allow us to follow in her footsteps, watch her observing inmates and their interactions; hear their admonishment and furtive exchanges. We can find these prisoners in the gaol registers listing ages and offences, education and occupation, clothing worn and physical features. They appear again in the Gaol Keeper’s Book with his record of rules broken, inmates sent to solitary, items smuggled in and out of prison. And through her Liberated Prisoner Book, we can accompany Sarah Martin through the streets of Yarmouth as she meets former prisoners, visits their relatives, and persuades a master to take back a convicted employee. I have been lucky to spend years with Sarah Martin and Yarmouth’s prisoners. This blog is about what I know, and what I feel I know, from serving time with them. It is, then, about history and conviction; about what it is possible to discover about past lives and how we write about them. The blog begins, not with the evidence used to convict prisoners or the evidence the Gaoler and prison visitor kept on them, but with the tattoos that many had scored on their bodies. Their pin-pricked marks form a kind of code that can help us break into the social and the imaginative world of the convicted. Wow, unique concept for a blog! Very interesting. I maintain a blog about Christian literature from the Victorian era. Fascinating. The pictures are great. I, too, write a prison blog – based on about 400 hundred letters exchanged with one man. I will definitely be back to read more!